There appears to be no sign of this News of the World phone tapping story coming to a close, and possibly rightly so. 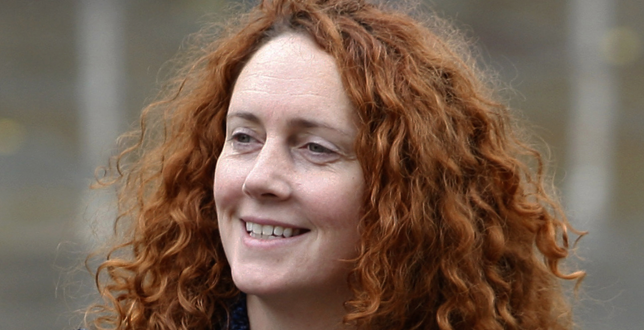 In the latest development, the supposed phone number of the person considered the scapegoat of the story, Rebekah Brooks (Guardian profile here), News International’s Chief Executive, has been leaked on Twitter by an anonymous @NOTWjourno account. While writing this story the account has deleted the tweet (along with almost every previous tweet) however the number is still being shared across the site almost every second. We aren’t able to confirm if the phone number is genuine as it currently, and unsurprisingly, goes straight to a standard voicemail. The anger towards Brooks stems from it becoming clear that she would keep her job while NOTW staff would lose theirs. Audio of Brooks’ meeting with staff following the announcement that the paper is to close can be found here. Update: The account that originally tweeted the phone number has been deleted. Fortunately we have screenshots. Update 2: The account has now been reopened but frankly it all seems to be turning into a bit of a farce so we won’t be updating until the dust has settled. This is a developing story, more to follow. Please refresh for updates. If you have any further knowledge to share on the story, please email tips@thenextweb.com.